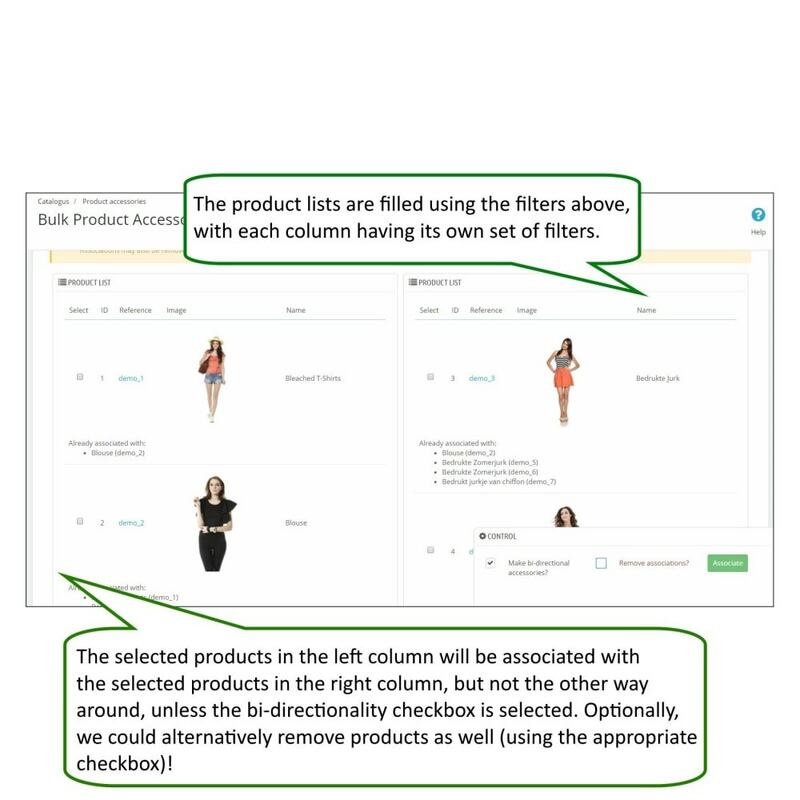 Save time by using an intuitive interface to update the accessory combinations between your products. 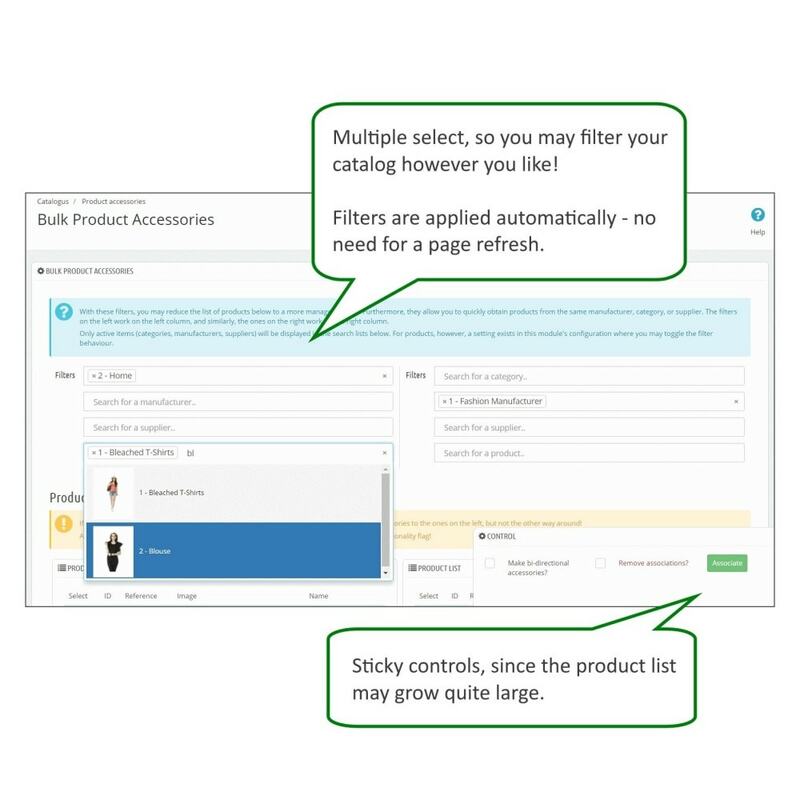 Filter your catalogue to quickly obtain the products you are interested in, and select those you wish to add as each other's accessory! Do you accessories using a visual comparison? 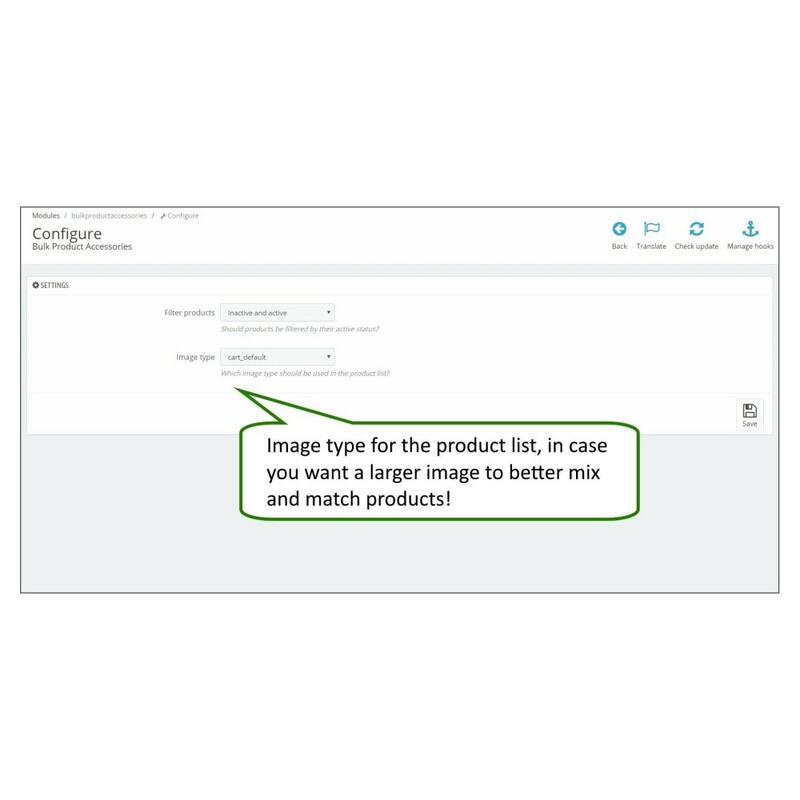 Simply change the image size in the module settings if you want to have a better visual inspection of the products! Simply select the products that should be associated with one another. There's no limit here: select as many as you want, and press the "Associate" button. If you want to remove some associations instead, that's as easy as checking a box in the controls! That scarf works well with this sweater, but shouldn't then the scarf also have the sweater as an accessory? You can make these bi-directional combinations easily, by flicking a switch! All updates are done via Ajax, so you do not have to reload the page after accessorising your products - the content is updated automatically! Simply install this module like you would any other. While there are some configuration options available in the module itself, one may access the actual accessory page via "Catalog" -> "Product Accessories"!